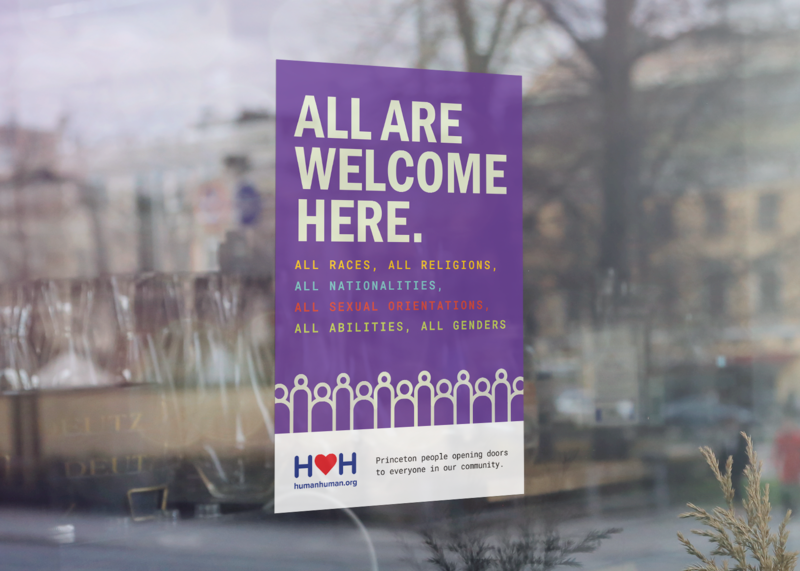 Our first initiative is a window cling that brings a public display of support to Princeton for all humans, including and specifically at-risk communities. The first pressing of the sign was created by Princeton people, for Princeton people, as we believe it is important that our community knows that this is a homegrown effort. We plan on printing a new batch of signs that does not mention Princeton so that it could be displayed and distributed in any community. If you are interested in displaying the sign in your home or business, or if you are interested in distributing the signs in your own community, contact us for more information.